Before the age of 24, trumpeter Francis LaPorte (BMus 2018) will have already performed with two of the world’s biggest orchestras: the London Symphony Orchestra (LSO) and L’Orchestre Symphonique de Montréal (OSM). For Francis, this is only the beginning of his life-long ambition to pursue trumpet professionally. Originally from Holland, MI, Francis joined McGill University’s Schulich School of Music as a transfer student in 2015. 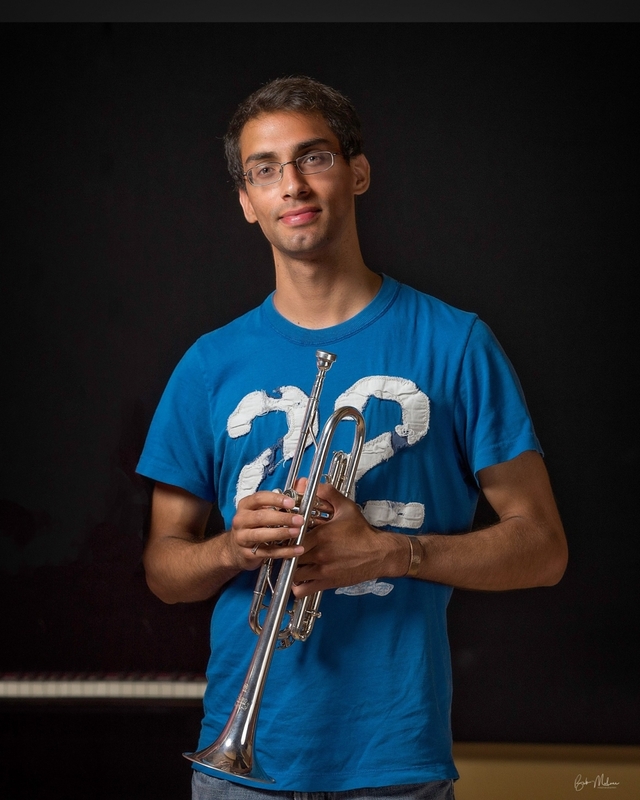 He studied with Professors Richard Stoelzel and Paul Merkelo while at Schulich, and by his graduating year, was regularly gigging alongside Paul in the OSM. Having participated in 47 concerts with the OSM and counting, Francis feels very fortunate as each gig continues to provide him with a unique opportunity and position to hear and experience Paul exemplifying what he teaches during their lessons. Another element he mentioned which is often overlooked are the lessons one can learn from fellow students, and not necessarily those in the same instrument group. Francis lists violinist Katelyn Emery (BMus ’18, MMus ’20, MAW ’18) for her tenacity, positivity, and healthy internal focus, violist Noémie Chémali (BMus ’18, MAW ’18) for her unwavering commitment to impeccable fundamentals, violinist Teresa Wang (BMus ’17, MMus ’19) for her classy stage presence and exciting musical flair, and trumpeter David Koch (MMus ’17, MAW ’17) for his consistent mentorship. Perhaps Francis’ most important advice is to keep pushing on even when you’re not in first place. “I definitely came into McGill at the bottom of the pack ability-wise. A few years later, I’m playing frequent gigs with the OSM and look forward to joining the London Symphony Orchestra for these January performances!” writes Francis. “It’s natural to have high points and not-so-high points in this journey, and of course I still have both of them! Keep hanging in there and take advantage of the resources available to you at Schulich." Francis’ residency with the LSO will take place residency will take place Jan 4-14, 2019 in London, England. He is extremely honored to have been chosen to perform and would like to acknowledge the LSO, Music Academy of the West, and Linda and Michael Keston for the opportunity.